Turn web map interactions into actionable insights and make data-driven decisions that improve user experiences. Track how visitors and users interact with AGOL Web Map applications. No coding required. Track clicks, layers and visitor interactions on Story Maps. Use the Maptiks Web App Builder Widget to get analytics for WAB applications. Track bounce rates and the engagement of your map to find out exactly who and if users are using your web map app to its full potential. 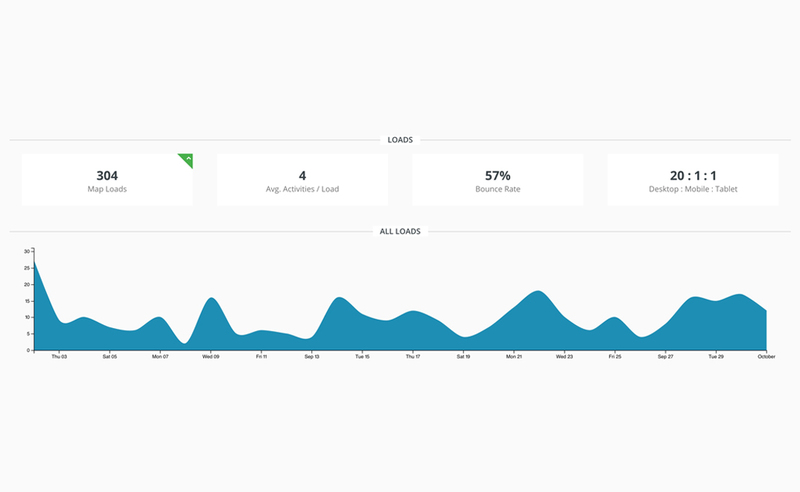 Track your map performance from a single place and get notified when there are load issues and error logs. By tracking layers and tile, Maptiks provides web map developers an easy way to track your maps performance. 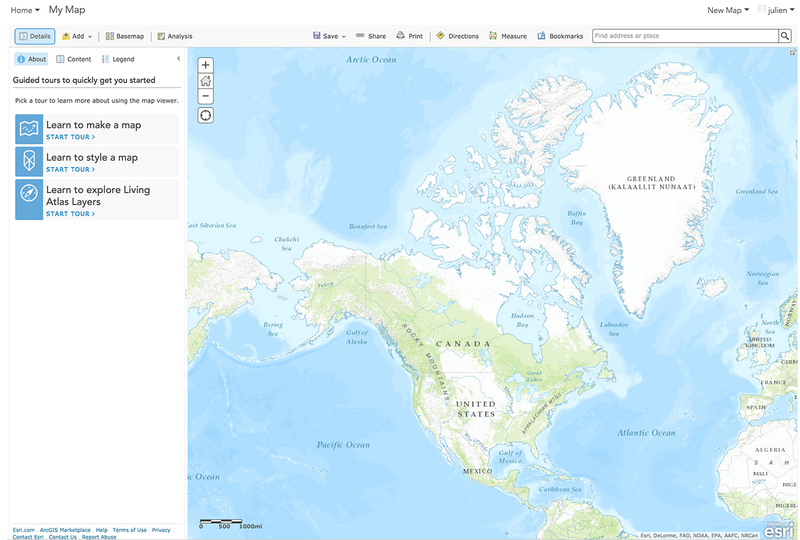 See how users are interacting with your ArcGIS Online maps and gain unprecedented user engagement insights. 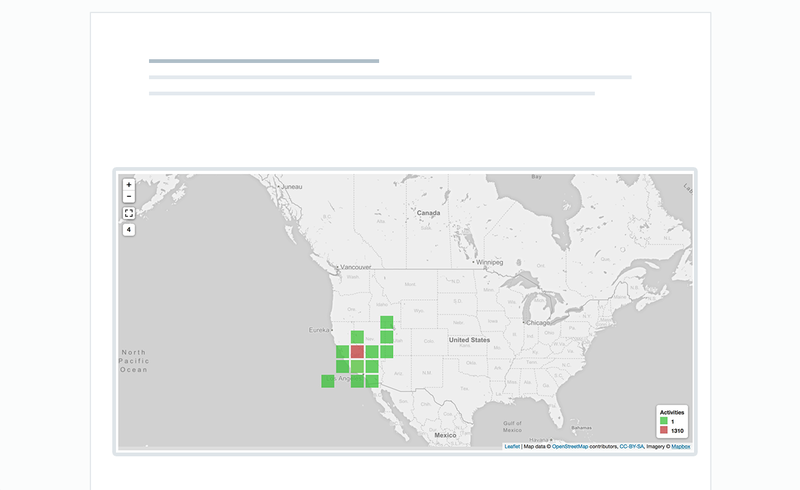 With the activity heatmap, you can quickly view the most active sections of your map at a glance. Having a succesful cross-functional GIS initiative should provide internal stakeholders with access to information, making it easier to coordinate and plan capital projects, operate parks and transportation, and manage environmental needs. More importantly, the public can search publicly available datasets including administrative boundaries, transportation projects, land use, facilities, and infrastructure data. Maptiks helps keep all stakeholders informed and on the same page. 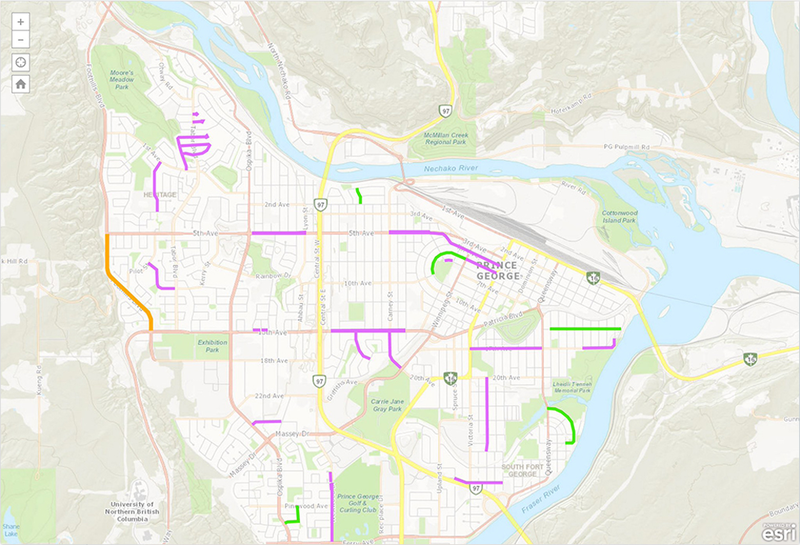 Whether it be evacuation plans, election maps, transit routes or garbage routes, you can connect your geospatial maps to Maptiks and start tracking key metrics. Universities and Colleges use Maptiks to provide analytical tools to their geospatial students. Non-profit organizations rely on Maptiks to fuel innovation, develop risk management software and develop tools used by field agents. Derbyshire County tracks gritting routes and snow removal map and redesigns for better user experience. 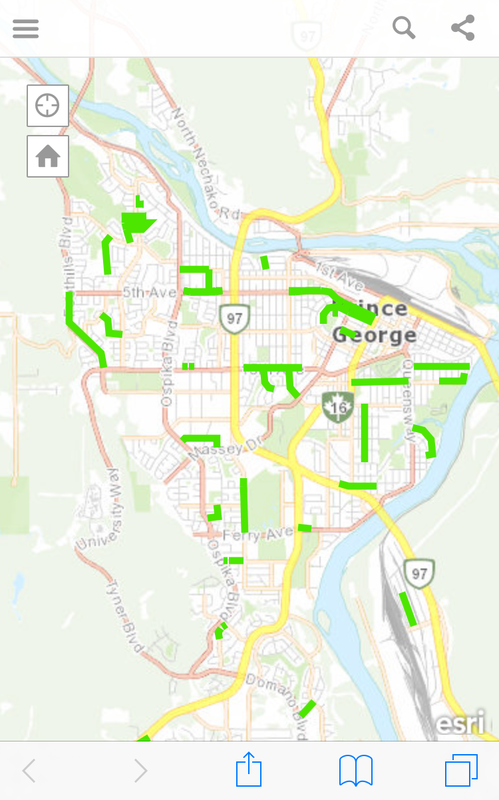 The City of Prince George tracks city construction map and launches single web map app. "Maptiks has given our organization the ability to quickly roll out an analytics-ready application for a client and show them exactly what part of the map that people are most interested in"
Find out if analytics can help your team. Copyright © 2017 sparkgeo. All rights reserved.